With A Perfect Twist To Our Pizzas, Head Out To This Place For Pizza Cones! 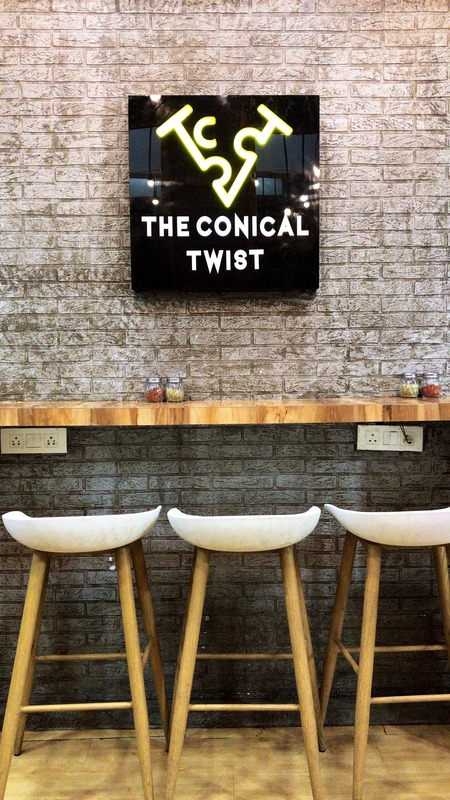 After marking its success in Bandra & Vile Parle, Conical Twist is sure doing its magic in Kandivali West. Located at the Prime location of Mahavir Nagar this is a small Vegetarian place serving Pizza cones and Shakes. Conical twist has given a twist to our Pizza routine. Having said that though their Pizza cones are a must try with the right texture, sauces, cheese and various other components. But, their Shakes aren’t that great. It lacks the right flavours or a component that binds the Shakes together! Coming to what I tried and Recommend: Pesto Mac and Cheese Cone Chipotle Paneer Cone Farm Fresh Cone Beverages were very average, however, you can try the Rose Oreo Shake. The beverages can get better!